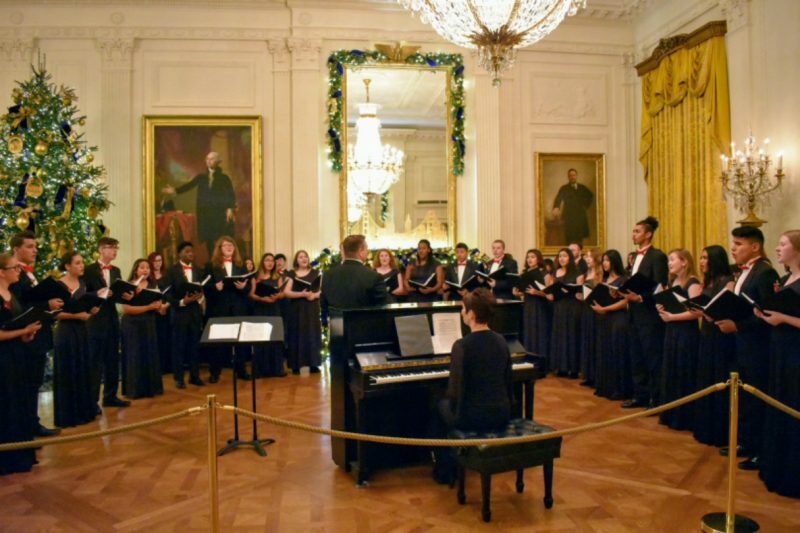 You can now add the Frostproof High choir to the list of artists who have performed at the White House. For nearly two hours on Friday, FHS students sang an assortment of holiday classics in the East Room as part of the White House’s Holiday Open House series. 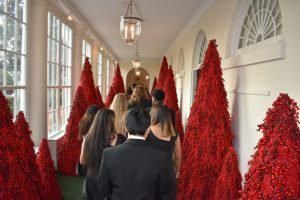 The events feature high school bands and choirs performing for visitors across the country as they tour the White House in full Christmas décor. Frostproof High applied and was chosen for the honor after responding to the White House’s open call for entertainers. The Frostproof group delivered an impromptu concert on the flight to Washington, D.C., after the Southwest Airlines crew announced to passengers that the students were on their way to the White House. 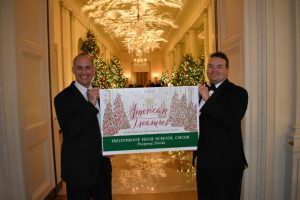 For the main performance, the choir dressed in formal attire and gathered around a piano in the White House’s famed East Room — standing in the same place that has hosted numerous world leaders and historic events. The students spent the remainder of the weekend in D.C. visiting the area’s iconic monuments and attractions. Jonathan Carter, director of the Frostproof High choir, said the White House performance was yet another opportunity for the school to make its mark at one of the nation’s most prestigious venues. In June 2017, the FHS choir performed in New York City’s Carnegie Hall as part of the National Festival Chorus.